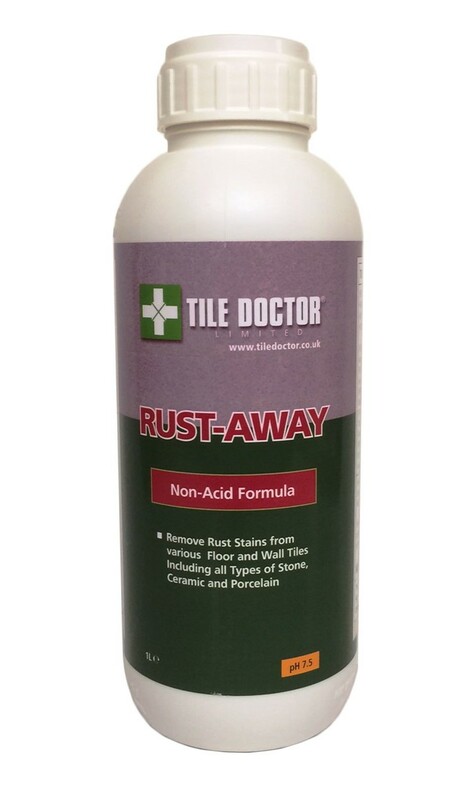 Rust-Away is a ready to use, non-acid rust remover that will disolve problematic rust stains caused by leaking heating systems, metal furniture and fertilizers from tile and stone without causing damage. Use on on any type of natural stone or clay based surfaces, internal or external including Terracotta, Porcelain and Ceramic tile. Read entire label before using and wear protective gloves. Apply Rust-Away neat to the affected area, leave in place for no more than 10 minutes on the surface. Rust-Away will oxidise the stain and turn it purple. 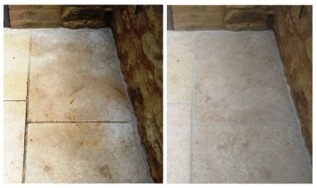 After 10 minutes diluite with water scrub and rinse and sponge or remove with a wet vacuum. Up to 10m² per litre. Use neat for best results. 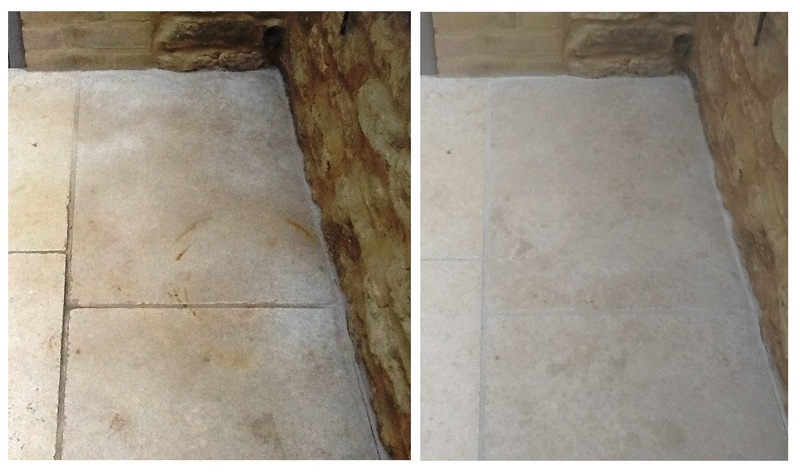 Important: Working time must not exceed 10 minutes, some stone and coloured concrete may change colour after treatment. Available in 1 litres bottles at £22.00 each and 5 litre bottles at £89.00 each, Postage and Packing £5.50 for 1 litre, £10 for two or more litres. All prices include VAT at the current rate.